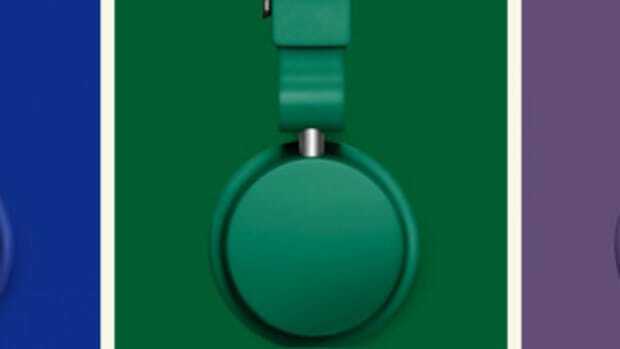 Urbanears has just come up with a new and exciting product called Slussen. 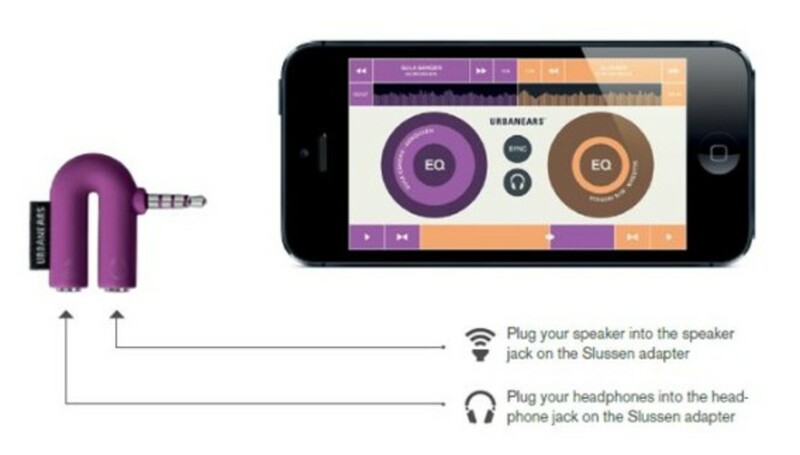 The Slussen is a U-shaped mini-adapter that will allow users to connect the iphone to both external speakers and a set of headphones at the same time for a true DJ mixing experience all in the palm of your hand. Our very own resident DJ Kutmaster TeeOh puts it through its paces to see what it&apos;s all about. Check out his full written review after the jump. At first glance the packaging is simple and attractive, yet hard to read. But don&apos;t let that stop you from picking one up and giving it a go. Compatible with the latest Apple mobile devices (ipad & iphone) this little tool comes in handy. Keep it on your key ring for those last minute "I need a DJ" or the "Oh sh*t my computer just fried itself" moments. After struggling to read the small white lettering on the tangerine colored packaging, I opened it up and looky looky….here is a full color 4 part booklet that breaks down the adapter and the software, as well as a quick starter tutorial. The high quality printing shows the manufacturer really put time and effort into this product. I finally got around to installing the free Slussen app found in the App Store and plugging in the adapter. The simple adapter features 2 ports. 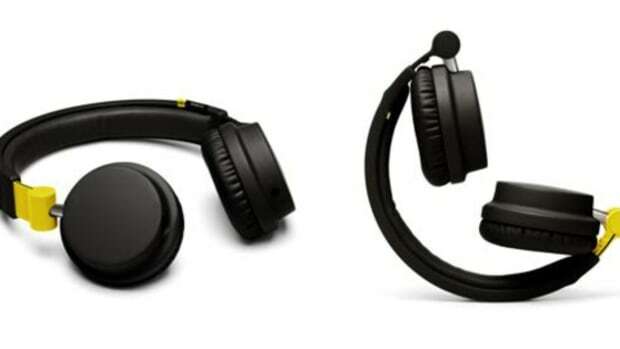 One for your headphones and one for your master output (speakers). Cueing up music on your mobile device is just like doing it on your full set up. Load deck and turn on the cue feature to preview in the headphones. The software is easy to use but beware accidentally hitting other nearby triggers and keep your screen clean. The program has great features like BPM, Sync, an Equalizer, "Kill All", crossfader, headphone crossfader, and scratch function. The graphic user interface (GUI) provides you with fairly good waveforms of your music, current time, as well as the song title. The touch sensitivity is pretty accurate though I did notice some lag on occasion but nothing show stopping. I wasn&apos;t expecting very much from a mobile app let alone a "pocket dj" sort of configuration but as an international DJ that is a club, performance, and turntablist… this is definitely something I&apos;d keep on my keys (thanks to the handy key ring attachment that doubles as the 3mm cover). The software isn&apos;t power hungry so you can rock off your battery for quite some time, provided you have enough music stored on your phone or ipad. If you are bored, on the move, at a friends house, or b-boying it up in the street this is a good rig to have. If you just need to keep something on back up during your gig this is also something worth checking out. Now on to the meat and potatoes. How does it sound? I tested this on various speakers and genres. The music style did not matter and it&apos;s great because you can EQ as you go (if needed). The speakers didn&apos;t matter just make sure your device volume isn&apos;t peaking. If you have music that is peaked or the device is maxed on volume you may experience distortion, just like any other audio setup. The mixing is solid with no hiccups in it. Very smooth until you start maxing out the storage on your device, which I did to test the response so that is no direct fault of the product. Fader? It has a nice curve to it and it&apos;s visual indicator comes in handy. Scratching? Don&apos;t even think about it. Like many other touch apps this one is not a scratch hounds domain. Save it for the turntables. Overall the functions are cool and it has everything a DJ setup should. For a small package, it packs some punch. Great for on-the-go or as a "Plan B". Stock your devices with some good tunes and get this so you can jam wherever you are. 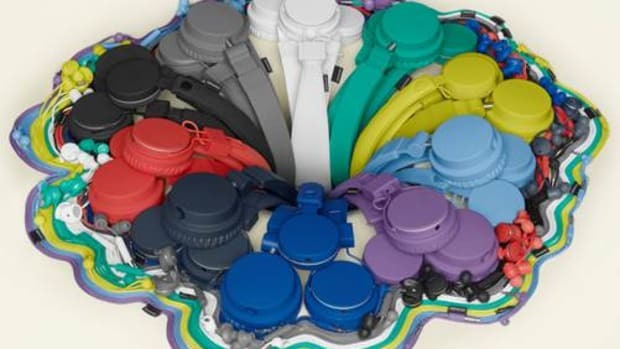 Good to see a company like URBANEARS who take the time to make a nice alternative to lugging around a supersized DJ rig. 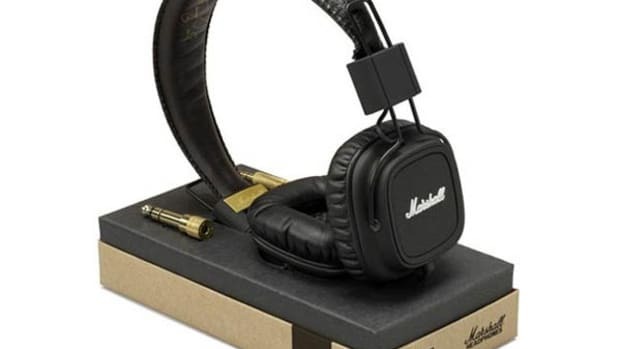 The good people at Urbanears are celebrating the Amsterdam Dance Event - also known as ADE - in style with the release of a third annual collaboration between the the two entities. As the biggest club festival in the world, it attracts a lot electronic music fans from all over. 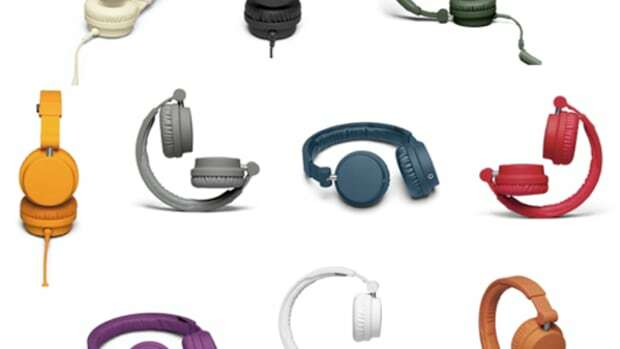 Urbanears will release a limited edition Zinken DJ headphone and host an open house at the Amsterdam Dance Event. 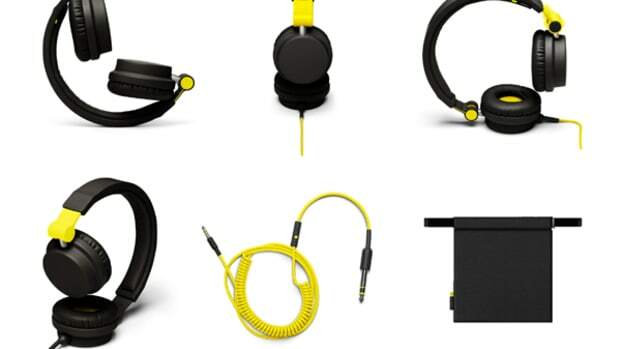 Urbanears produces some great-sounding and great-looking headphones for DJ's, Producers, and everyone else who just wants a good set of headphones for all around listening. 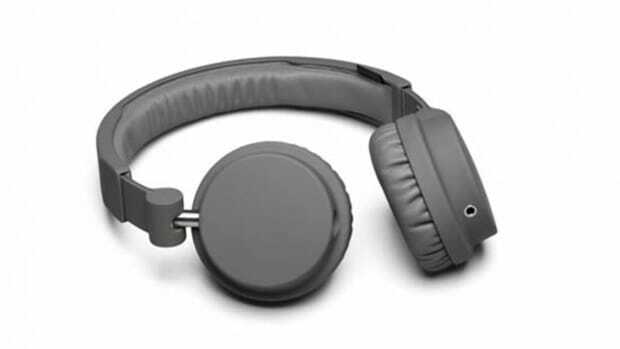 Urbanears has just come up with a new and exciting product called Slussen. The Slussen is a U-shaped mini-adapter that will allow users to connect the iphone to both external speakers and a set of headphones at the same time for a true DJ-like experience all in the palm of your hand. Check out the press release and everything the Slussen can do after the jump.